This entry is for the The Play Date Cafe colour combo (plus fantastic blog candy giveaway). I am loving using some vintage style images. This one I stumbled upon on line and saved it down, then I toyed with the colours to give it a slight purple look to go with this weeks colurs. I did find it slightly difficult to work with purple colours but I am rather pleased with this card. Its so far awy from my normal. Hope you like it too. 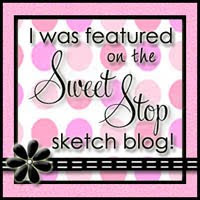 I am also going to enter this one in the Sweet Stop Sketch challenge as I used this sketch to model my card on. Both sites are on the right in my challenge list, come play along too. This is beautiful! I say you are a pro at the lavender colors! This is so sweet! Love the vintage look! Thanks for playing with the PDCC!! Very pretty card! Love the soft colors. Great job with this week's color challenge - thanks for playing along at the Play Date Cafe! I love this!! The vintage image in purple is such a sweet and pretty idea - this turned out beautifully! Love your vintage image! Thanks for playing with us at the PDCC! Hi Jo, My name is Jo, too! 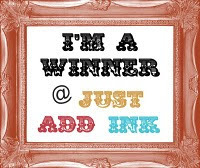 I love your blog and will now follow. Hope to get to know you better. I love vintage images too. Love this card--very sweet and vintage. Great job with the PDCC colors:) Thanks for playing along!